Akkineni Akhil came with great hype and expectation among the fans. He was supposed to be the next number one tier hero with just his debut Akhil itself. The business done for Akhil then was highest for a debutant and also among the Akkineni family. The release too was perfect, and everything was set for the arrival of a new star in TFI. Unfortunately, nothing panned out as expected after the opening day which is a record among debuts across India. There was a long gap much to the frustration of the fans and then came Hello. On paper, it was the best combination and also a product that got a positive reaction from everyone. This time the release was wrong as the movie clashed with an in-form deadly combo of Sai Pallavi-Nani and Dil Raju. Once again, a gap was there, and later the film with Tholi Prema director Venky Atluri was set. It was a good combination given the other names that were thrown around. And that is proven to be right with the music and theatrical trailer. As luck would have it, Mr Majnu is correctly set up for success like the debut of Akhil. It is the first release after Sankranthi period. All the holiday movies barring one are done with their run. People are looking forward to a new outing, and Mr Majnu offers the right change in setting. What’s more, there are no notable releases for three weeks after release, and there is a National Holiday in the opening weekend to boost. All that one expects now is a film on the level of Tholi Prema from Venky Atluri. Tholi Prema was a dull season release and had multiple films to deal with which is not the case with Mr Majnu. Also, the business is reasonably done which should be easily achieved with a positive talk. Are Akkineni fans in for a pleasant surprise? Let’s wait and see. Mr Majnu starring Akhil and Nidhi Agerwal has completed its censor formalities. It has received a U/A rating and will release worldwide on January 25th. 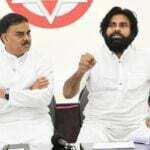 Previous articleబీజేపీ నాయకులు ఉత్తుత్తి రాజీనామాలు కూడా నిజాయతీగా చెయ్యలేరా?